I can remember when we would order a workout program off TV or online, and it would be around $120 and take a week to get. My mom and I have been working out at home for over 10 years now, and it's so amazing how much things have changed. Our favorite thing right now is Beachbody On Demand because it allows you to stream 100s of workouts, along with their meal plans and workout calendar to get the best results. Plus, it's under $10 a month which completely blows our old gym membership out of the water. Years ago we tried online workouts, but the quality of the sets and workouts were pretty terrible & there was not a meal plan to speak of. Now, you can stream the most popular Beachbody workouts anywhere you have wi-fi. Plus, they all include a set meal plan. 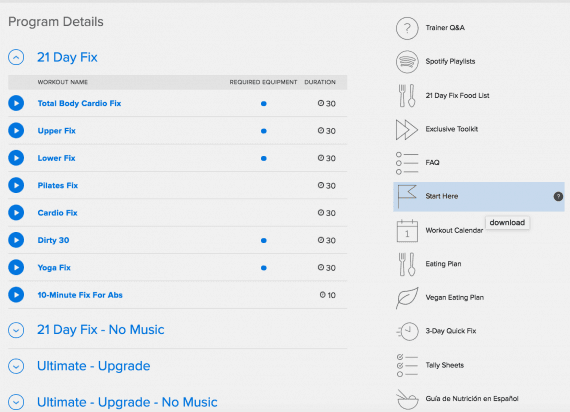 Besides having access to all of the workouts, we love how easy it is to use. You just log in, and you'll immediately see any new workouts or features plus the daily workout. You can choose to do the daily Challenge Du Jour where you'll do a new program each day, or you can scroll down and pick out your favorite program. Once you've found the program you want to do, you have access to all of the workouts, meal plan and calendar all right there on the screen. You just click play. There are also exclusive bonus workouts! I've done the 21 Day Fix several times. I started it before my wedding, and then it also was good at getting off that married weight, hehe. Needless to say, the same 7 workouts can get old; however, there are 2 new bonus workouts I can use exclusively on Beachbody on Demand. Plus the trainers will do exclusive workouts to stream as well as full bonus programs like the 3 Week Yoga Retreat. That are only available to stream. The ability to stream is everywhere with good wi-fi. You can stream your workouts from any computer, iPad or iPhone. 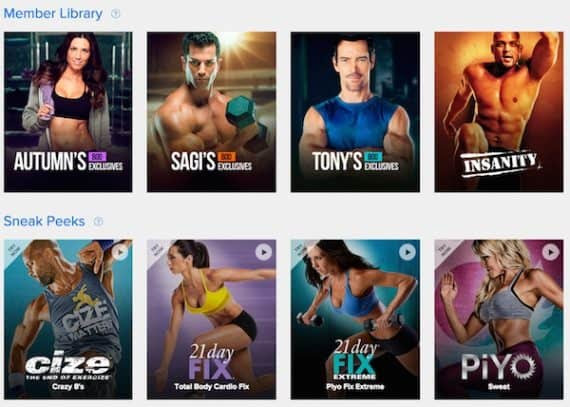 You can also use Beachbody on Demand on your TV either with an HDMI cord or through several devices like an AppleTV, Roku, Google Chromecast, and Amazon Fire. I love the variety it offers too. I am a huge hybrid junkie - mixing 2 or 3 workout programs at a time. This can leave the living room a mess with DVDs. Now I can just easily switch between programs as I want, or I can do the daily workout challenge listed. You can continue to hit and set new fitness goals since it's not just 1 program. A bad habit that sneaks up on me is that once I finish a workout program, I will kind of just "do my own thing" (aka a cupcake and sleeping in). I feel like I just finished a 30-, 60- or 90-days of hard work and am pretty happy with my progress - so why not "treat my myself"? With On Demand, I don't feel that temptation. I also find myself trying out a harder workout than I normally would because it's just sitting there staring at me when I log in. I just started Insanity Max 30 after finishing the 3 Week Yoga Retreat. Both programs are out of my comfort zone and on different levels of fitness. By having the option to any Beachbody program without paying for each one gives me the freedom and excitement to try new things. The other thing I will say about my recent venture into Insanity Max 30 is that my fit friends encouraged me to do it without knowing it. One of my friends is a Shaun T (who is the trainer behind Insanity) fan, and another friend is trying his workouts for the first time. Seeing their posts on social media showed me I could do it, too. So just because you're working out at home doesn't mean it's only you - or you and your dog. My mom and I are a part of an amazing year-round accountability group that breaks it down into 21 Day Challenges each month. We've also taken a leadership role - even though we aren't super buff or only eating broccoli. 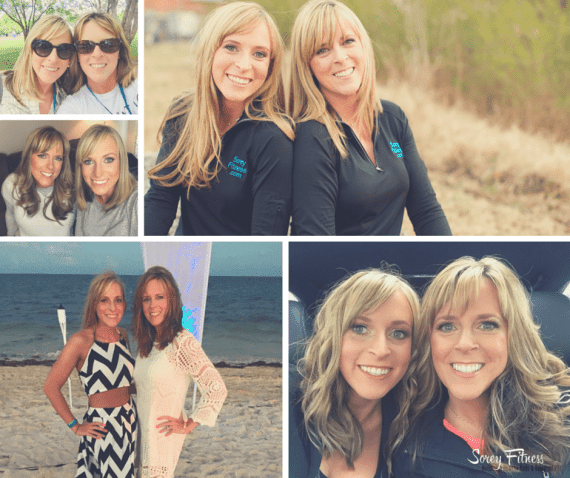 We became Beachbody Coaches about 5 years ago to be able to share our simple, balanced approach to eating healthy and working out at home. It's still amazing how far the company has come in just the past decade in staying relevant in fitness and nutrition. Thanks for letting it us share our experience and take on healthy living Kerri!